She's used to summoning supernatural creatures from the demon realm to our world, but now the tables have been turned and she's the one who's been summoned. Kara is the prisoner of yet another demonic lord, but she quickly discovers that she's far more than a mere hostage. Yet waiting for rescue has never been her style, and Kara has no intention of being a pawn in someone else's game. 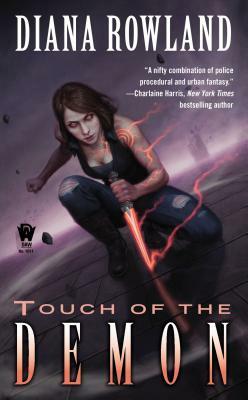 There's intrigue to spare as she digs into the origin of the demonic lords and discovers the machinations of humans and demons alike. Kara is shocked to discover that she has her own history in the demon realm, and that the ties between her and the demonic lords Rhyzkahl and Szerain go back farther than she could have ever imagined. But treachery runs rampant among all the lords, and she's going to have to stay sharp in order to keep from being used to further their own agendas. The lords have a secret that dates back to earth's ancient history, and it could have devastating repercussions for both worlds. Yet more than anything else, Kara's abilities as a homicide detective will be put to the test -- because this time the murder she has to solve is her own.